This morning I received an email from the operator of long-time pirate station Dokwerker, who told me he has sadly received a letter from the AT warning him about his activities on the airwaves. Dokwerker's signal was monitored by the Dutch authorities on September 12, and a letter arrived at his home two months later on November 12. With a hefty penalty to pay if he is heard broadcasting again during the next five years, it is likely we won't hear the station for the foreseeable future. Dokwerker had been active as a pirate on and off since 1976 and more recently had been a Sunday morning regular. With less than 200 watts output power, the signal during wintertime in England was often pretty good. It seems another MW pirate is lost and the band will become that little bit more empty. Ever wondered why a Dutch pirate might be strong one night and weak the next? Sure, propagation has a big say in all of that, but there is another reason to think about. 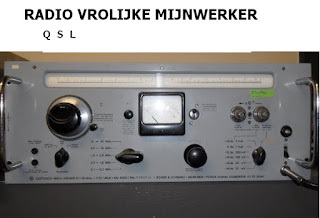 A few minutes ago I heard Radio Montecarlo from the east of the Netherlands with a reception report on 1646 kHz for Professor Sickbok. He is usually very strong here, with typical signal strength of four out of five on the SINPO scale. Tonight he was more of a two, coming in with a SINPO of 25342. I was listening carefully and he mentioned his antenna was in the low position. Many of the Dutch pirates use what they call 'spool' antennas. This is basically a coil high up a mast with some top-loading and then an earth system which usually features plenty of copper piping buried around the base of the mast in a star shape. 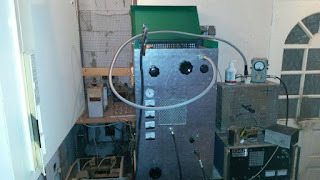 This type of antenna generally produces a good groundwave (although the skywave is not at all bad, either), which makes it ideal for covering a good part of a small country like the Netherlands. Such an antenna is also pretty compact, especially when it is on a hydraulic or electric mast, like that used by Montecarlo. 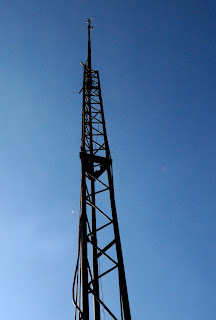 At the press of a button, the mast rises, and so does the antenna. And reception generally improves in line with how high the antenna is. 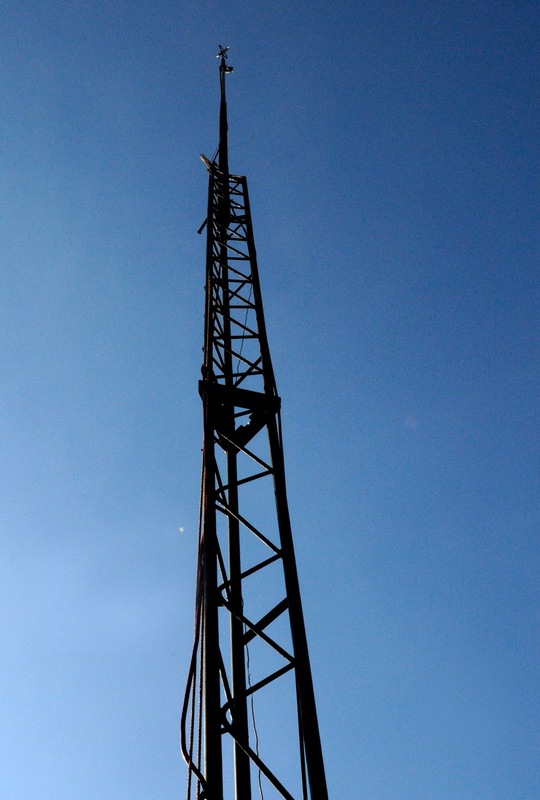 When pirates come on air with a reception report for a station in their locality there is often no need to have the antenna as high as possible as they will be heard regardless, so it stays low - and that is when overseas reception dips. So, next time you hear a pirate with a lower signal than you sometimes get, it might not be the fault of propagation or solar flare. 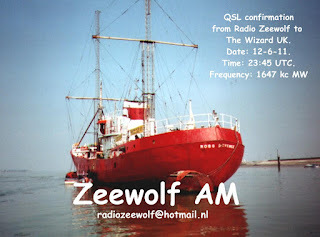 On July 26 two men were seen outside the house of the operator of Radio Zeewolf, who was transmitting on MW at the time. They were taking photographs of the antenna and were thought to have been representatives of the AT, who are responsible for keeping the airwaves clear of illicit radio stations in the Netherlands. However, they were not seen again and nothing was heard about the visit. Not until October 31. On that Saturday morning there was a special delivery at the Zeewolf studio, containing a letter from AT detailing their visit during the summer, together with photographs and personal information. There was also a warning that if the station is heard again during the next five years there will be a penalty, starting at 2,250 euro, but up to a maximum payment of 33,750. 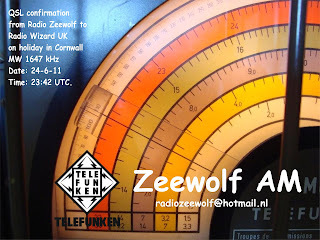 The annoying thing for Zeewolf is that he had been on air only a short time on the day of the AT visit, testing his antenna after returning from a family holiday. Since receiving the AT letter, Zeewolf has removed his transmitting antenna for MW and so removed the temptation to come back on air. Instead he is concentrating on listening to the pirates and has been testing a very small whip antenna where his coil antenna used to stand. It has been working well and he has been impressed with reception from such a small antenna. So, it seems another Dutch AM pirate has been silenced. 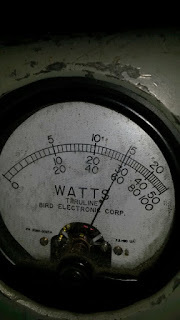 It could have been worse - in the old days equipment might have been seized straight away with no warning. And this is the way the authorities are operating these days - a kind of gentle but effective approach that is slowly removing the stations we enjoy listening to. 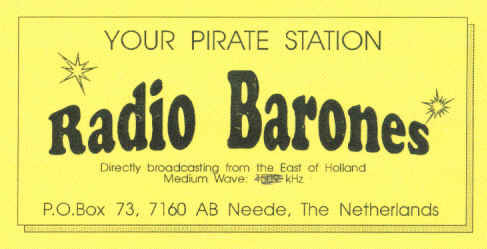 Rode Adelaar was another pirate to get the letter recently and he too has taken leave of the airwaves. The Dutch pirates have been coming through since 1500 local time today - 90 minutes before sunset - when Havanna kicked it off on 1636 kHz. Right now though it's polka time with Relmus powering through on 1629. His Friday night programmes at the top of the MW band aren't quite as regular as they once were, so it's great to her him back on his usual slot with some fun and all sorts of music. 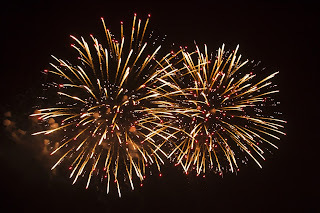 In between fireworks and sparklers in the garden tonight, I've been listening to the Barones - on 1636 and 1615 kHz. 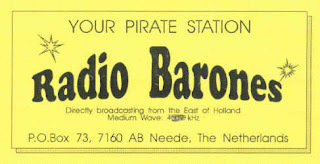 It's not very often you hear a Dutch MW pirate on two frequencies at the same time, but it's been made possible this evening with a little help from Radio Batavier and the SDR at Enschede. 1636 kHz has been providing the main signal, but the 60 watt transmitter on 1615 has been doing a great job too, with a sinpo often around 35333. 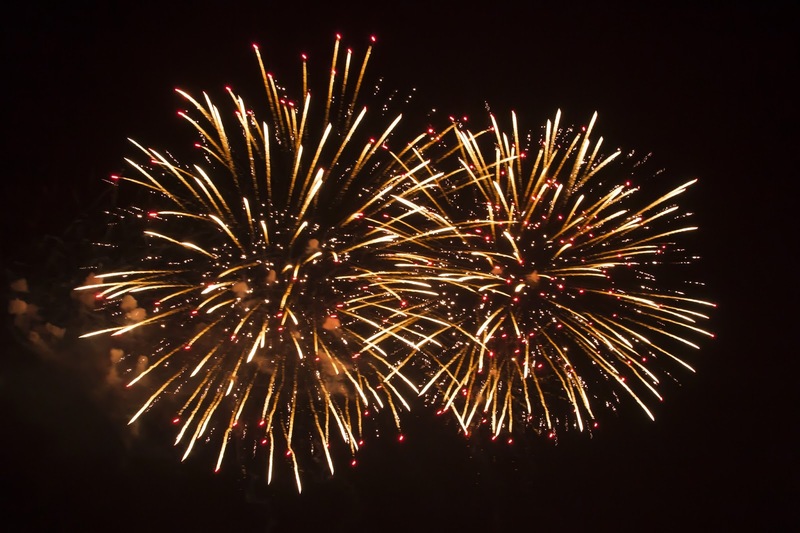 As the clock approaches midnight Baro is shortly to close down. He's currently playing some classic Simon and Garfunkal. No matter how many times I hear him spin these records I never tire of them. I remember listening to the same tunes when I was much younger, living with my parents and staying up late into the night listening to illegal broadcasters when I probably should have been spending my time studying for exams! And yesterday there was plenty of interest for me during the early morning from around 0545 when stations Eskimo, Johan and Rocking Billy were busy qsoing with each other. Very good conditions on MW this evening with Dutch signals arriving well into England, and some strong stations from the Balkans as well. 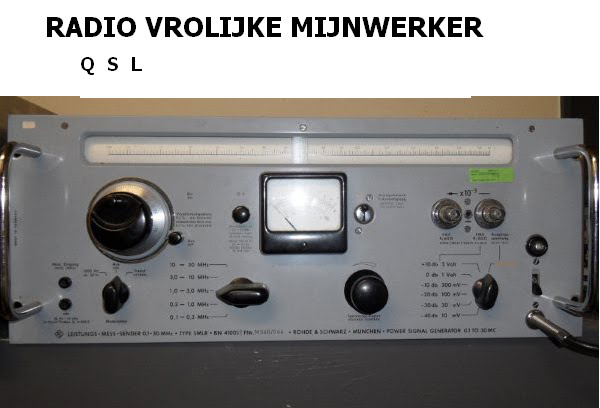 In fact, I've just been listening to Vrolijke Mijnwerker qsoing on 1620 kHz with a station from Thessaloniki in the northern part of Greece. It's not very often you hear Dutch MW pirates qsoing with stations from another country, so it's been something out of the ordinary this evening. And what really caught my ear was when the Greek station started playing his recordings of Mijnwerker, who was incredibly strong at his side. And, in something of a coincidence, the station operator previously lived in Germany for some 20 years, so they were able to converse in German, along with some English words too! There were plenty of other strong signals from the Balkans on various frequencies up to 1710 kHz. I just wish I understood some of the languages being spoken! My listening day also began on 1620 kHz when I was tuned in to the breakfast show from Radio Nova 4. He was going strong at 0545 local time here with a huge signal of 55555 and was still strong when closing down at around 0630. He can often be caught at this time of day as he plays records for listeners getting ready for work and travelling to work. Many car radios can receive on the frequency, so he gets a fair few listeners.